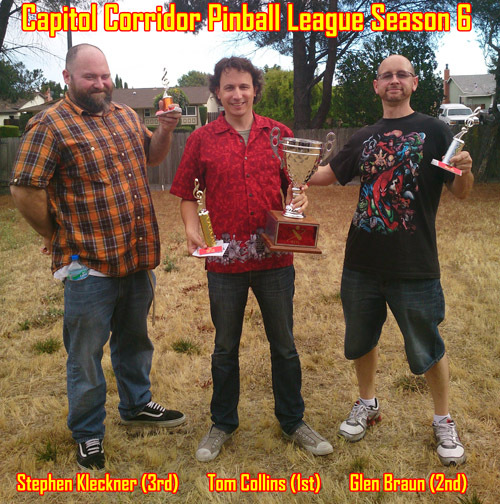 Capitol Corridor Pinball League (CCPL) had their Season 6 (Summer 2013) playoffs on Saturday, August 17th. First place went to Tom Collins, second to Glen Braun and third to Stephen Kleckner. 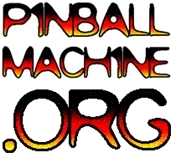 For more information on CCPL, visit their Yahoo Group (http://games.groups.yahoo.com/group/capitolcorridorpinballleague/) or email CCPL founder Damien at pinballmail@yahoo.com. We meet every other Tuesday night in Fairfield/Vacaville. Season 7 begins August 27th.